Records Relating to the Read/Reed/Reid Surname compiled from various source records found at the LDS Family History Library, Salt Lake City, Utah. 1764 Alexander Read, of Amherst. 115 acres on theJames River inherited from father, John Read. 10 June 1764 Alexander Read, of Amherst, to brother, Thomas Read, 115 acres on theJames River, inherited from father, John Read. 14 February 1770 Thomas Read appointed Surveyor of the Road. 8 May 1770 Thomas Read, hemp certificate. 7 April 1771 Mathew Reid, court case. Defendant. 9 April 1771 Thomas Read, hemp certificate. 1 February 1773 Alexander Read Juror. 10 February 1773 Thomas Read, Juror. 1 September 1773 Matthew Read to George Davis, 100 acres on Tinker Creek. 16 September 1773 John Read Juror. 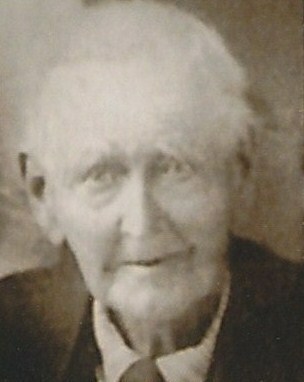 James Reade, Private, Botetourt County Militia, Captain Henry Pauling. Thomas Reade, Private,BotetourtCountyMilitia, Captain Henry Pauling. 12 Aug 1777 William and Agness White to Joseph Read, 110 acres on the South side of Buffalo Creek. 12 February 1778 Thomas Read appointed Constable. 20 February 1778 Marriage Record. Elizabeth Reed to Andrew Tilford (Telford). 3 February 1779 Marriage. William Read to Mary Ryan. 18 March 1780. Thomas Read court complaint against a servant. 17 September 1780 Marriage. Alexander Read to Rebekah Camron. 1782 Casper Read. Property tax on 180 acres. Casper Read. 180 acres. Casper departs to Montgomery County. 12 June 1783 William Read and John Read among tithables to maintain road from James Brown’s to John Neil’s. 10 Aug 1785 Samuel Read survey. 11 March 1788 Marriage. Sarah Reed, daughter of William and Ruth Reed to Edward McMullin. 2 April 1788 Marriage. Patrick Reed to Mary Boyle. 8 August 1788 Marriage. John Reed to Jenet Jane McMurry. 17 January 1789 Marriage. Anna Reed, daughter of William and Ruth Reed, to William Knox. 14 February 1789 Marriage. Rutha Reed, daughter of William and Ruth Reed, to James Morris. 14 February 1789 Marriage. Ruthey Reed, daughter of William and Ruth Reed, to John Stuard (Stuart). 12 January 1790 Marriage. Margaret Read, daughter of Samuel Read to William Goodson. 1792 John Read, 90 acres on theJames River. No name listed as to who owned property. 9 September 1793. Marriage. Catharine Reed, daughter ofFrederick to Peter Hanspach. Tradition tells an interesting story of the marriage. The minister came to Mulberry Bottom from the south side of the creek which was in flood, preventing him from crossing to the house. With the minister on one side of the creek and the wedding party on the other side presented a problem. They devised a plan to weight the marriage license with a rock and throw it across the creek so the minister would have the proper authority to perform the ceremony. The act was successful and the wedding to place on the planned day. 1793 John Read, wife Jenet, 138 acres on Blue Spring Run of Potts Creek. New Grant. 27 January 1794 Marriage. Samuel Reid to Lucy Faulconer. 10 June 1794 William Reed, Sr appointed overseer of the road. 2 December 1795 Marriage. Sarah Reed, daughter of Thomas Reed to James Mayes. 8 December 1795 Frederick Reed appointed Surveyor of the road. 9 February 1796 William Reid, Jr appointed Constable. 1796 Daniel Reed, granted 38 acres on the South side of the Roanoke. 15 June 1797 Marriage. John Read and Hannah Francisco. 3 October 1797 Marriage. Margaret Reade, daughter of William Reade, Sr to Jacob Parsinger Jr.
1797 Samuel Reed and William Reed patent of 610 acres of Back Creek. 8 January 1799 Marriage. Esther Reed, daughter of Thomas Reed, to Matthew Mayes. 3 July 1799 Marriage. Rebecca Reed to Jacob Nicewanger (Nysonger). 14 January 1800 Samuel Reed appointed overseer of the road. 1821 Frederick Reid conveyed property to son, Jacob Reid. 1837 Jacob Reid, Sr, conveyed property to son, Jacob Reid, Jr before his death. 1859 Jacob Reid sold property to Samuel Noffsinger. This is helpful. Will you also cite exact sources [bibliography] examined in FHL from which you drew this data. Thank you for visiting. The records referenced on this page came from varied source material regarding Botetourt County, VA on file at the LDS Family History Library in Salt Lake City, UT. This link to the library card catalog lists the various sources currently on file: https://www.familysearch.org/search/search/library_catalog#searchType=catalog&filtered=true&fed=false&collectionId=&catSearchType=place&searchCriteria=&placeName=Virginia,+Botetourt&author_givenName=&author_surname=&subjectCountTotal=27. I am trying to connect a Samuel Reed born Pa 1809 as one of the sons of the above John, William, Thomas Reid. Do you have such a connection. My trail has run cold -no records of the westward bound Reed’s. From Pa to Ohio to Ky to Iowa etc. I can connect some of the Reed names for you. I did research in Botetourt County, Virginia last year and have the will of Samuel Read in January1793, which names children Samuel, William, Michael, Nancy, Rachal, Elizabeth Telford, Sarah Richardson, Jane Charter, and Margret Goetson (Goodson). John Read, son, is written in above the line to get 1 English Shilling – the same as the daughters. William was apparently not of age. Nancy and Rachal were to get 20 pounds at marriage. Witnesses to the will were Christopher Rubel, William Charter, and Andrew Telford. The last two were sons-in-law. Jane (Jean) Read married William Charters in 1787 in Franklin County, Virginia. Sarah Reed married Joel Richardson about 1784, unknown location. You have the marriage of Elizabeth Read to Andrew Telford (Tilford) and Samuel Read to Lucy Faulconer. Samuel Read owned land on Back Creek a branch of Roanoke River, in Botetourt, but later part of Roanoke County. He sold off land to Joel Richardson and John Kelly (related somehow) in 1789. The 1785 enumeration shows Samuel Read, John Kelley, Andrew Tilford, and Joel Richison sequentially in Neelly’s District of Botetourt Co. which includes the Back Creek area. 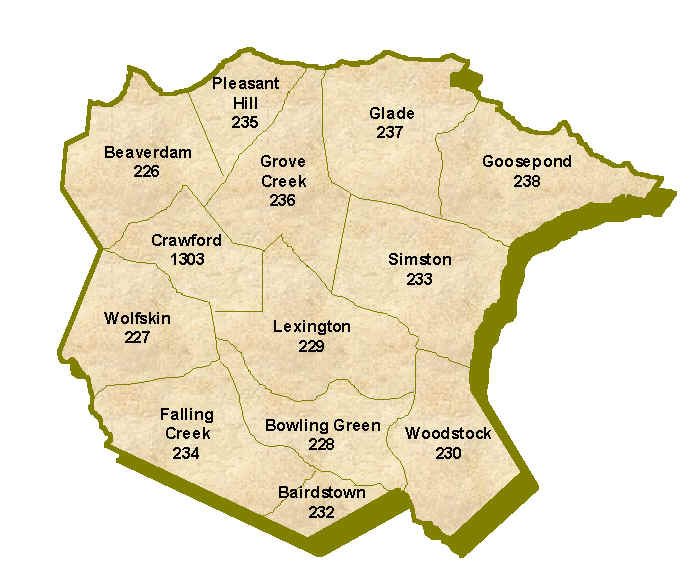 Samuel Read (the son) moved to Scott Co., KY in 1805 or 1806. He had a son named Samuel (III) who is my ancestor, born in Botetourt in 1801, lived in Kentucky, and moved to Indiana in 1820. Samuel (II) moved on to Boone Co., Missouri in the 1830’s. The Read’s were said to be Scotch-Irish and many records say the first Samuel was born in Scotland – Ireland seems more likely. The earliest records I have seen for him are in 1770 in a milita list for Botetourt Co. Do you have any earlier records for these Read’s in Virginia or even possibly Pennsylvania? Do the DNA records you have found connect any of the Read/Reid/Reed families in this county? Thank you for visiting the blog and for sharing this information you have on the Read/Reid/Reed line. We will review the DNA records to see if there is any connection to what you have provided. I am a cousin of Karen, we are out of the same Samuel Read (III) I have a 67 Marker Test from FTDNA and have joined every READ/REED/REID/REEDE surname project I could find. Through the REED project, me and another researcher are still in the Ungrouped “group” and in The Donnachaidh DNA Project I am a member but I cannot find my test number anywhere! On the Reeds of Botetourt County, do you know anything about John Reed (1778-1821)? I only have found information indicating he was born in Virginia and later moved with his wife, Elizabeth Miller, to Ohio. Joseph Reid is my line. We think all of them were probably born in Va.
know if the mother came with them to Ohio or died before they came. My family and I would appreciate any and all information on this family. Our mother searched for years trying to find their parents.